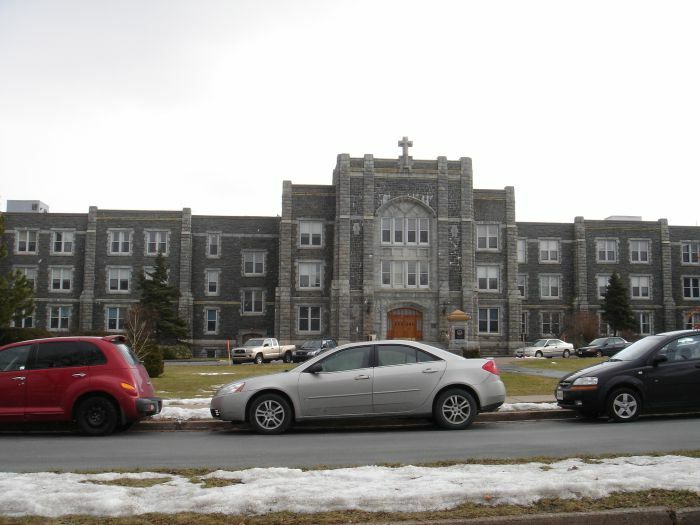 KJIPUKTUK (Halifax) - In their secretive hunt for a new school president, it would appear that the Saint Mary's University board of governors has run afoul of the Saint Mary's University Faculty Union's (SMUFU) collective agreement. The board of governors is in the final stages of contract ratification with one candidate for the presidential position, who, because of weather, had their public introduction cancelled on Tuesday, January, 27th. The problem is, no one from SMUFU, aside from faculty representation upon the board (who are bound by confidentiality), knows who the candidate is. This, according to SMUFU president Marc Lamoureux, not only bucks a historical relationship whereby Saint Mary's faculty participate in the selection process of all senior-level administrative staff, but also directly contravenes various sections of the union's collective agreement. It would appear that the 'meet the top three candidates' arrangement was never formalized in the agreement, and that the crux of the union's argument lies in the pluralization of the word 'candidates', as in, the union expects to meet with more than one, singular, candidate for top administrative positions. Lamoureux doesn't argue that the hiring decision ultimately lies with the board. The union, however, is taking this slight in participating in the selection process seriously, and is in the second stage of a filed grievance with the Nova Scotia Labour Board. If the matter is not resolved at this stage, Lamoureux notes that the union's next possible step is to seek out arbitration. This could be especially problematic for the university if a new president is hired - as they likely will be - and things get messy with an arbitrator. For their part, on Tuesday, University spokesperson Margaret Murphy told the Chronicle Herald's Michael Gorman that the school believes it is in “full compliance” with the collective agreement. Murphy notes that the university is simply following suit with a national trend of closed-door hirings of top administrative staff; the justification being that a non-public application and hiring process attracts a wider pool of talent who might otherwise be frightened away from applying for jobs due to the fear of retribution at their current place of employment. The boogey-person of appearing disloyal to the current corporate yoke one finds oneself under is a more or less acknowledged caution amongst on-line 'do and don't' guides to applying for jobs. But, as Lamoureux notes, there isn't any real empirical evidence to suggest that the wrath of a scorned boss is a mitigating factor in getting good talent to apply for jobs. If one were current Saint Mary's president, Dr. J. Colin Dodds, one might even feel a bit of a slight at this 'we get poorer talent when the union participates in the hiring process' argument coming from the University. Dodds, remember, came up from the old school, 'three presenters', style of hiring. The university appears fairly uninterested in SMUFU's position on this. There is a board of governors meeting on Friday, January 30th, in which it is likely that the new mystery president's contract will be ratified. The union, for their part, is up for a renegotiation of their collective agreement in August, 2015. For Lamoureux, this isn't the type of mood he wants – or is used to – when dealing with the employer.